.......As the duke sat down, Signore Arrighi arranged the drawings before him. 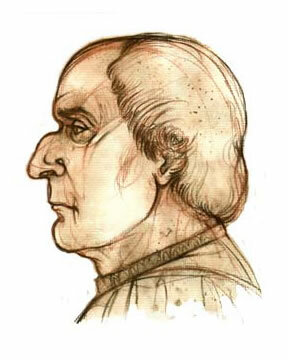 Signore Arrighi followed the dukes gaze as he studied the drawings. Once again the armorer felt himself captivated by the dukes eyes. The left one, made of glass, and the other good eye looked out from a dark cavity that stretched unbroken across the dukes face. Unlike most men, the duke had no bridge between his eyes. Most of his subjects assumed it was the result of a wound received in battle. But for a few men, like the master armorer, who knew the true story, it was stark proof of the dukes ruthless determination.